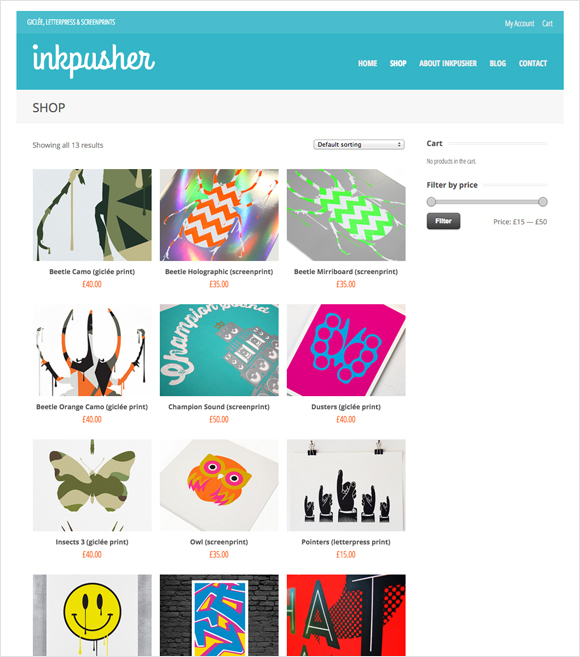 Inkpusher is a small collective of designers, illustrators, photographers and print makers. United by their passion for print, they produce screenprints, letterpress prints and fine-art Giclée prints. 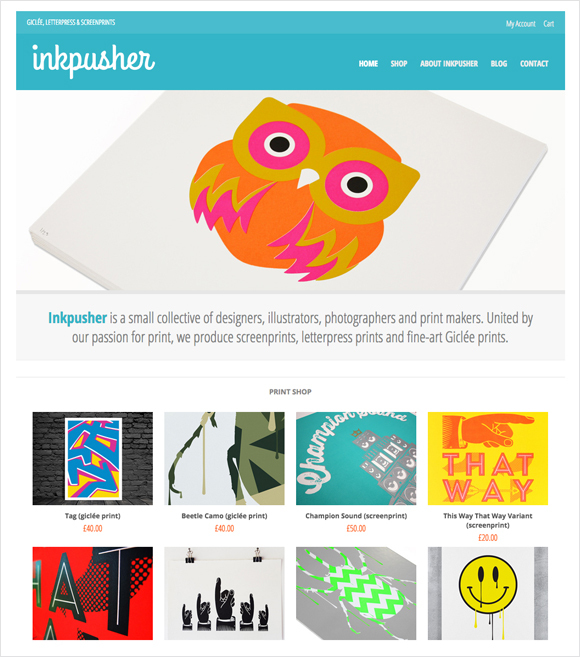 Supreme designed, built and host the Inkpusher webstore. The whole site and webstore is built in WordPress using WooCommerce as the sales platform. 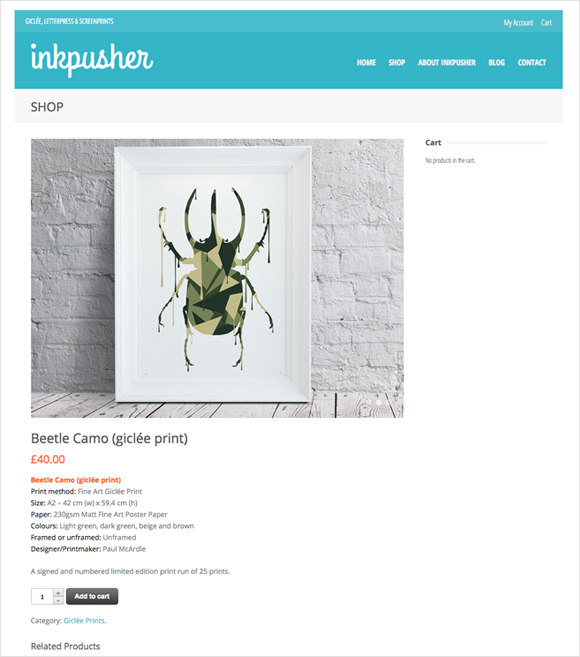 Head over to the Inkpusher webstore and check out their amazing range of prints.